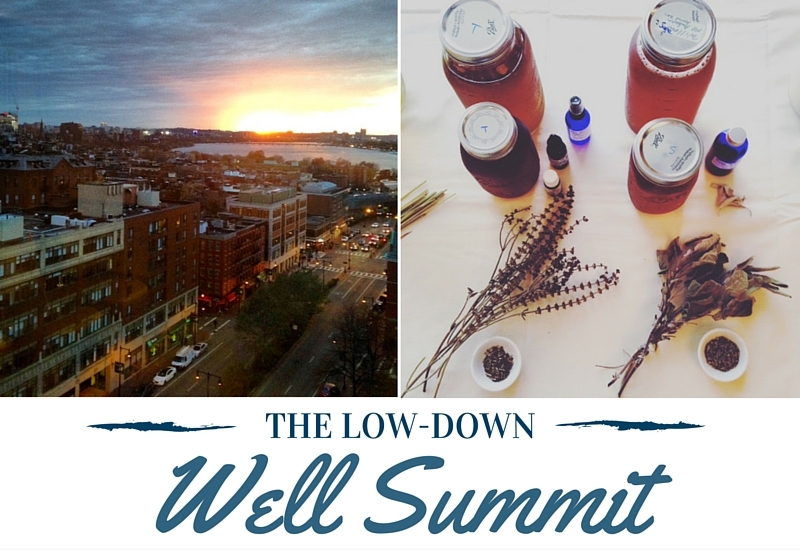 This past weekend, you may have been following my social snaps of a new event in Boston, the WELL Summit. I have been talking about this "conference" for many months now and was extremely excited to have the weekend finally arrive. I guess I would say that my main reason for buying a ticket was that I've been very much into Green Beauty and making sure that there are less chemicals coming into our home and more natural products that are good for the Earth and our Family... but my expectations for the event were blown out of the water. Of course, there were breakout sessions geared toward green beauty and there was even a breakfast panel dedicated towards it but what surprised me the most were the breakout sessions that I didn't know what to expect but ended up receiving some very thought provoking "gifts" from. 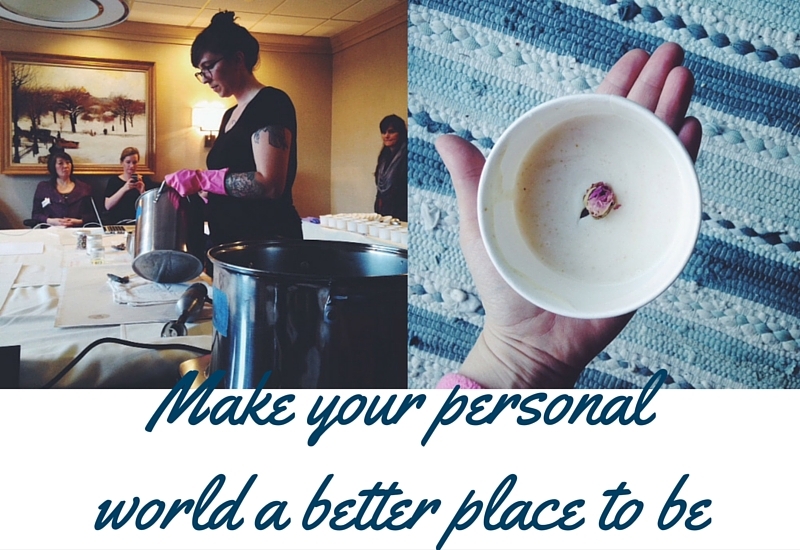 On top of making soap with a master, getting my DIY on with a fellow mom, beauty tips from a green pro and learning about herbs for the urban dweller from an actual herbalist, there were sessions geared towards finding your sacred beauty, meditation and following your intuition. I will be completely honest that I wasn't as excited about these sessions as I was the DIY + beauty ones because my goals for the conference were somewhat superficial at the beginning but what ended up happening, was that I let myself be open to the entire experience + what I received was a great gift of self reflection + some thought provoking realizations about my own personal happiness... I need to make my personal world a better place to be. Rebecca Casciano helped me look at beauty in a different way and then verbalize it with complete strangers, which was perfect. The insights that others had was amazing and it totally set the tone for the rest of the weekend. Rebecca is a beautiful person, inside and out, and I will always appreciate meeting her in this way. Josh Rosebrook, in addition to being just a plain joy to be around, led a meditation session that really helped me get a grasp on what I wanted to achieve with meditating at home and also find a peace, even if it's only for a few moments a day. Every time that Josh and I spoke over the course of two days, I felt more of a connection. This connection, like all of the new relationships over the course of the weekend, is something to be treasured. Rachel Winard, led the last session that I attended and shared her story about following her intuition/gut feelings. Let's just say that her story had me feeling all the feels. She inspired me to be vulnerable, she inspired me to look inside and ask myself what I can do to make myself a happier person and to trust my feelings about all the choices + the trajectory of my life. All of the people in her session shared personal experiences that resonated with me and I thank her for starting the conversation for all of us. The order with which I took my sessions was no mistake, as it turns out, since I believe that every message I received was one that helped me have some emotional release at the end of the whole thing (yeah, I cried in front of some people). Each step of the way, each person that I talked to, I was looking at myself and my own personal happiness a little more + more. If you were there, you would have seen/met all manner of person who was either working at their happiness/wellness, doing what they were meant to be doing and/or trying to help others do the same. It was a truly multi-dimensional experience where all involved were of like minds and souls (cheesy, so sue me). Authenticity and truthfulness is something I hold dearer now than ever before. There was no competitive, self promotion at WELL Summit but rather a collaborative atmosphere where everyone was learning from one another. Thank you to everyone who hugged me, encouraged me (I'm looking at you, Tara), listened to me, shared their stories with me, helped me find which room I was supposed to be in and hung out with me in between (Hi Jessica, Quiana and Cam!). Plus, a huge thanks to Gianne of Organic Bath, whose "brain child" came to fruition in the most wonderful way. I am so excited to take part next year and see each and every one of the people that I can now call friends.